Ethelyn J. Mayer, 97, of 30 Pike Street Bradford, went to be with her Lord and Savior, Wednesday, November 14, 2018, after a lengthy illness. Born October 10, 1921, in Olean, NY, she was the daughter of the late Truman and Susan (Loop) Wilkins, and a step daughter to Lawrence Stark. She was preceded in death by two husbands, Lyle Grover in 1988, and Keith F. Mayer in 2011. Ethelyn was a 1940 graduate of Allentown New York High School. She had been employed at DeSalles Candy Store and later worked for the Red Cross. 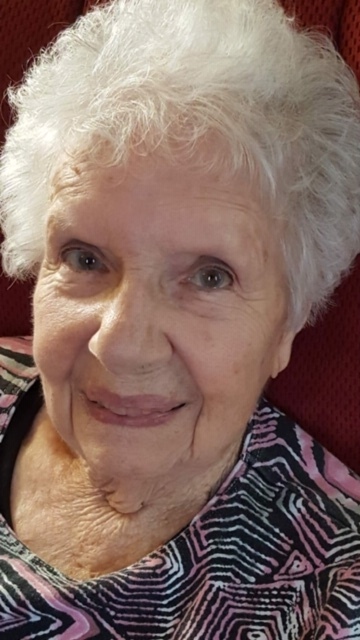 She enjoyed spending time with her family, and many friends, writing poetry, short stories, teaching Sunday school, doing crossword puzzles, singing, traveling, sewing and walking. Surviving are two daughters, Cindy Grover, and Donna Ekas, both of Bradford, two sons John (Christine) Farnum, of Erie, and Lyle (Jill) Grover, of Oakdale, a brother, Charles (Maryellen) Stark, of Angelica, NY, one daughter-in-law Susanne Grover of Charlotte NC, two step daughters Catherine Prevatt of High Springs FL, and Patty (Mike) Taylor of Bradford, two step sons Keith B. (Anne) Mayer of West Bloomfield, MI, and Roger (Georgia) Grover of Lewis Run, several grandchildren, great grandchildren, great great grandchildren, step grandchildren and step great grandchildren. She was preceded in death by a son Calvin Grover, one granddaughter, Jessica Abplanap, four brothers, Clifford, Clarke, Marvel, and Darrol Wilkins, four sisters, Mary LaRouche, Clara Morris, Vianna Bouch, and Beulah Deming. Friends will be invited to attend a Celebration of Life at a later date in the spring. Burial will be in Limestone Cemetery.